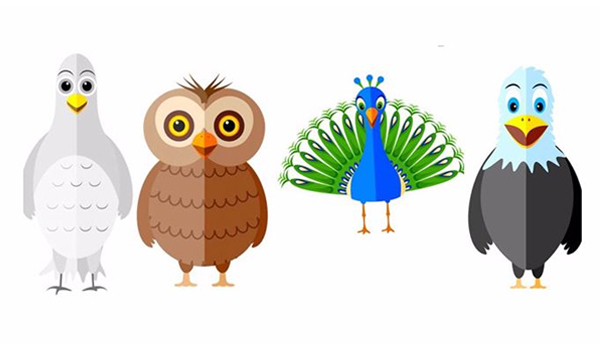 Select a bird and learn about your personality. You will be surprised with the results! We love personality tests, because they allow us to learn something new about ourselves. Our choices seem random, but they may help us realize things that we did not pay attention to before. Through tests we can learn more about ourselves, we discover traits we should work on, our special predispositions, and weaknesses, etc. It is worth doing a personality test, especially when it takes just a few minutes. “DOPE” is that kind of fast, but effective test. It’s an abbreviation of the names of four birds: a dove, owl, peacock and eagle. The author of the test is Richard M. Stephenson from the website richardstep.com. By choosing our “bird” personality, we can learn a little more about our reaction to stressful situations, recognize our strengths and weaknesses, and find out, how we should make decisions. There is also something else – it can also help in cooperating with the personalities of other “birds”. Reasons for why you should have a dog! She bought an egg on eBay for $ 30. A month later, her family welcomed a new exotic member! 7 signs that someone from your society can be depressed. A matter that cannot be ignored!